[N.K, This is an ORWINAL message, sent by AIR MAIL which provides a means_ of communication more. PERSIAN GULF Historically used by the British to refer to the sea area between the Arabian Peninsula and Iran. Often referred to as The Gulf or the Arabian Gulf. 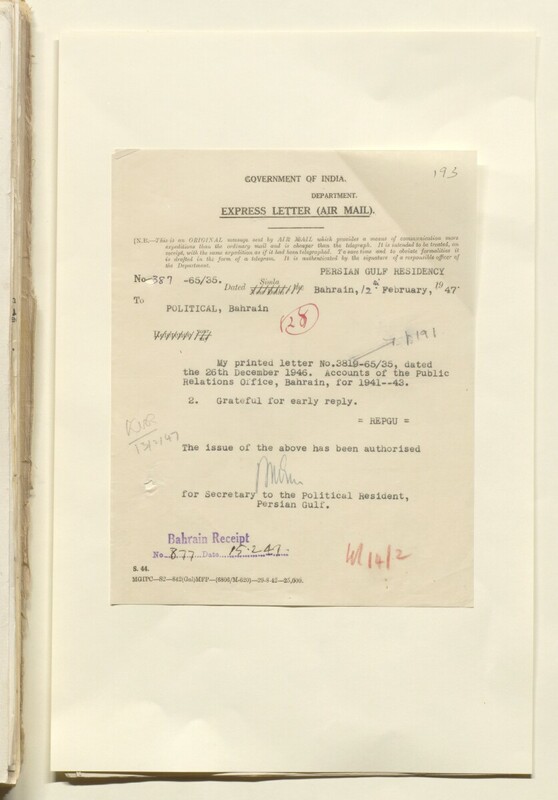 RESIDENCY A diplomatic office of the British Government established in the provinces and regions considered part of, or under the influence of, British India. Relations Oifice, Bahrain, for 1941—43. 2. Grateful for early reply.